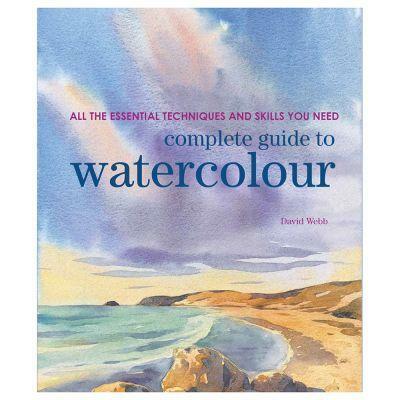 A Complete Guide to Watercolour offers an extensive guide to painting in watercolour for beginners and experienced painters, guiding readers on key art materials, techniques and picture making. In this beautifully produced book, artist and teacher David Webb shares his expertise to provide comprehensive guidance for anyone painting in watercolour. How-to techniques are at the heart of the book and feature detailed explanations and demonstrations that will get you progressing fast, with a real understanding of the medium. Included in this section are 'Help' panels that focus on what can go wrong: the typical mistakes made and how you can avoid them. Readers will also discover the widest possible range of watercolour techniques thanks to a team of internationally recognised guest artists, who will reveal some of their painting secrets in a series of life lessons how they appear to get the paint to really glow and their paintings to spring into life. David Webb specialised in extremely detailed natural history illustrations for many years. He then changed to pure watercolour and took to the much looser, freer style shown in this book. He now runs painting holidays and workshops and demonstrates around the UK, and his work is displayed in a number of galleries.